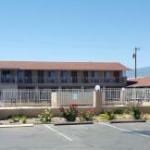 Offering an outdoor pool, Economy Inn Safford is 10 minutes’ drive from Eastern Arizona College. Free WiFi access is available. Parking for over-sized vehicles is provided A cable TV, a microwave and a small refrigerator are featured in each air-conditioned guest room at Economy Inn Stafford. An en suite bathroom is also included. A guest launderette is available at Stafford Economy Inn. Gila Box Riparian National Conservation Area is 50 minutes’ drive from the inn. Roper Lake State Park is 9.7 km from Economy Inn Stafford..
We plan to add more related stuff like: pet friendly hotels in Safford, Arizona dog friendly hotels in Safford, dog parks in Safford, pet stores in Safford, AZ, and pet spas in Safford. Keep checking for more!